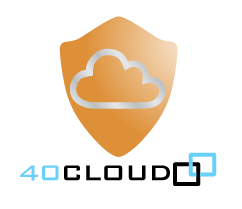 40Cloud's Cloud Network Firewall is a comprehensive security solution for AWS providing user VPN access, AAA, site-to-site VPN, Firewall, Security Group automation and much more. Do you need to add VPN access to AWS? Do you want to connect VPCs on multiple regions? Are you attempting to automate cloud security operations? Are you struggling with HIPAA compliance over AWS? 40Cloud addresses these security challenges and more, providing a comprehensive solution delivered in a SaaS model. The 40Cloud solution makes your public cloud private by building a new virtual private network over your AWS deployment. This network uses encrypted VPN links to interconnect all your AWS regions as well as your enterprise sites. 40Cloud's Cloud Network Firewall enables you to define and enforce firewall policies including identity-based access rights, for your entire AWS deployment with just a few mouse clicks. Our automation module facilitates automatic Security Group configuration as well as automatic configuration of other AWS security and networking elements. User Based VPN Access - Central authentication and enforcement of authorization profiles per user group. Multi-region VPC Connectivity - Securely connect VPCs on multiple regions using VPN links into a single, fully connected 'global VPC'. Site-to-Site VPN - Connect any third party IPSec device on-prem or other clouds. Security Group Automation - Automatically configure security groups on multiple regions using centralized firewall policies.